With the proliferation of online family trees and APIs, there is a lot more opportunity to bring that data out into daily family life and conversation. One way people are engaging with each other today is through electronic social games. 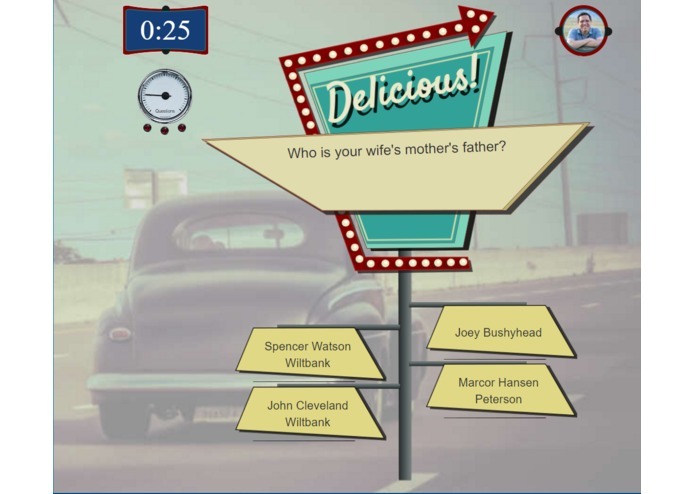 We created GenQuizitive to combine social gaming with learning more about one’s family tree. 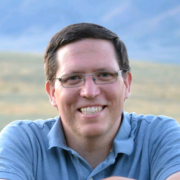 The competitive social nature of the app is meant to entice both older and younger generations to engage with their family members and friends with genealogy. GenQuizitive harnesses the power of social gaming with data from online trees to engage families and friends in learning more about their genealogy together. 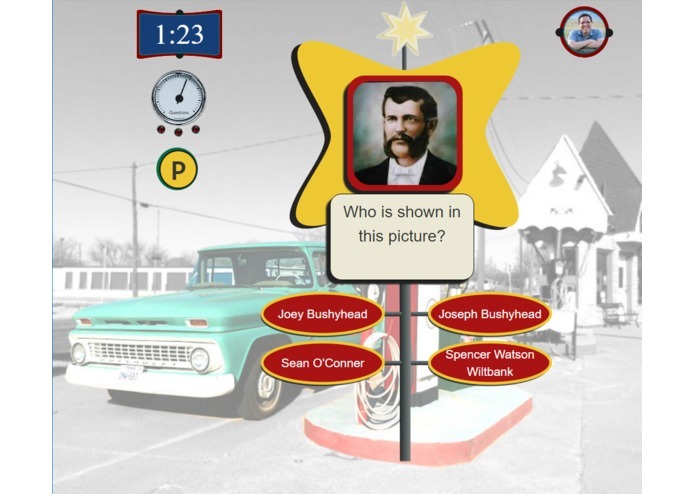 After logging into a social network, and an online family tree, players challenge a friend or family member to a GenQuiz. The GenQuiz consists of a series of questions or challenges based on the person’s personal family tree. After the first player finishes, the second player will receive a social network notification that it is their turn to play. The second player will play the same GenQuiz with the same questions but based on their own family tree. 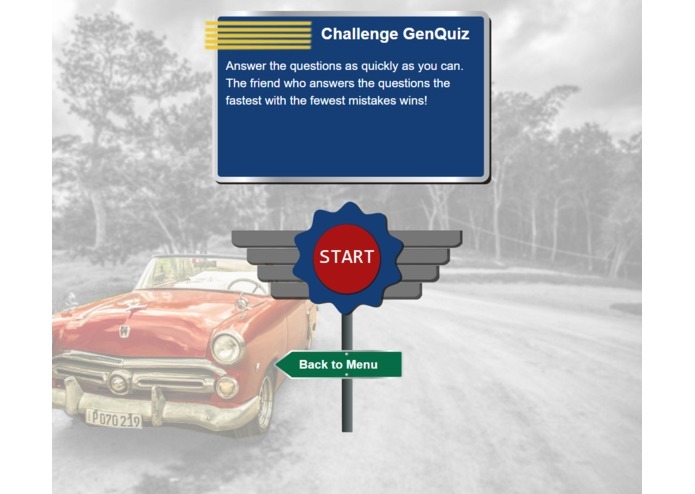 The player who completes their GenQuiz the fastest, and with most accuracy wins the round. 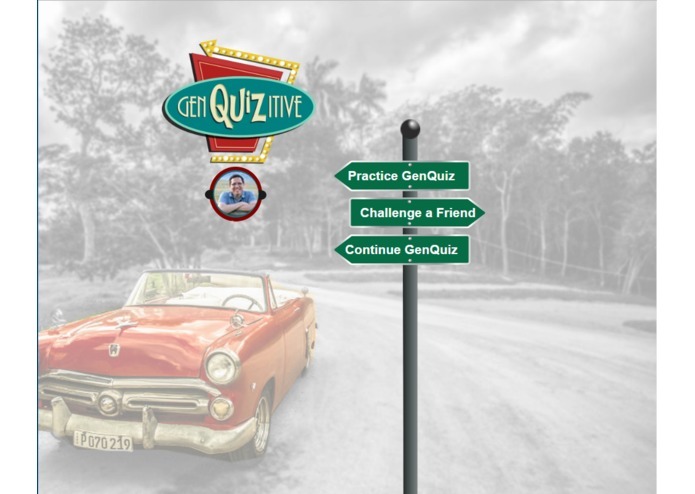 To help make the game more viral, people who do not have a family tree account may still play a GenQuiz challenge from a friend, but they will see the same questions based on their friend's tree. In this mode, the game will not include the data of any living people. 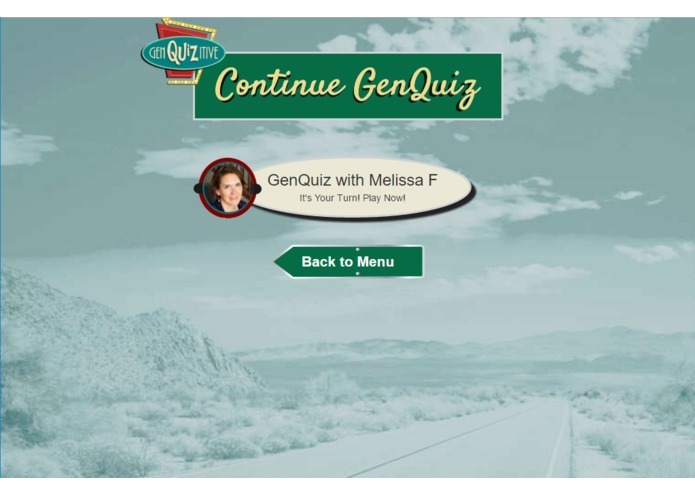 However in order to challenge a friend or create a new GenQuiz, they will need to login to their own family tree account. Players may earn or purchase in-game items such as hints and extra lives to help them in the game. As they play, they can complete achievements to earn badges and tokens. They will be able to compare themselves with their friends through leaderboards. There will be opportunity throughout the game for players to learn more about their ancestors. For example, at the end of every GenQuiz, they will be able to click on the ancestor who was the focus of each question to learn more about them. The design of GenQuizitive creates a feeling of nostalgia by harkening back to the style of the 1950s. It is based on classic road signs and cars, similar to what would have been seen at the height of travel on Route 66. All design elements we have created are meant to blend in with this theme and add to the feeling of reminiscing. We plan to add mobile apps for both Android and iOS platforms. We will add more social connections to find friends and family to play with, as well as private GenQuizitive accounts where players can invite friends to play by email or text. We hope to encourage improvement of the family tree by rewarding players who update their tree. For example, a player who attaches a picture or completes a hint may obtain a daily in-game reward. We could expand this to other genealogy related products and 3rd party applications such as indexing volunteers. We want to encourage the daily participation in family history. We will connect to additional online tree services to broaden our market. We will create additional levels for players to advance to as they play more rounds. Later, we plan to add group challenges that could be used in a group setting such as a youth activity or family reunion. I am the designer and family history expert on this project. I am the software developer for the project.